Congratulations! 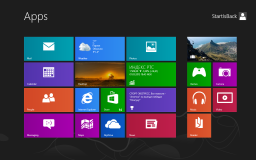 You've just found the way to relieve your (and your users) Windows 8 pain. StartIsBack returns Windows 8 a real fully featured start menu and start button, behaving exactly like the ones in Windows 7. StartIsBack radically improves desktop usability and makes new Start screen clutter-free. Precracked Credits to Lord Spectre for crack and new_age_messiah for sharing. -Smallest program for start button/menu. 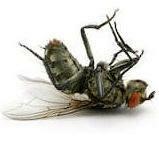 -All required Windows 7 and Windows 8 functionality are maintained as it is. -Unlike others (Start menu 8; start 8 etc...) it doesn't affect system performance at all... exactly same boot up time and that too without any glitches of windows 8 start menu. Tell me anuraag this trick will make "start is back" forever 30 days?? Yes you need to delete that key every 30 days. For the people who have tried both Start8 (which I think is superb) and StartIsBack. 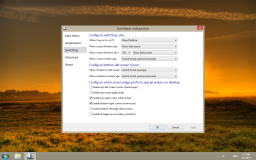 What gives StartIsBack the edge over Start8? 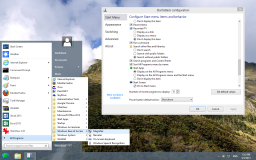 Start8 replicates the Windows 7 menu superbly. And it is very configurable. What does StartIsBack do that Start8 doesn't? All things which makes startisback better from any other start menu is in first post. 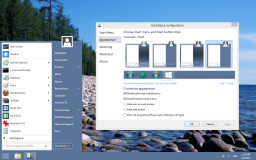 All things which makes startisback different from any other start menu is in first post. I guess I will just have to try it for myself, because the first post doesn't appear to highlight the differences from Start8. By the way... When you search from the start button, does StartIsBack search through Microsoft Outlook email, calendar etc like Windows 7 did? Windows 8 and Start8 does NOT. I will tell you the major difference, other differences are minor. I don't use any of them. So don't know. @anuraag as I've already mentioned...-Unlike others (Start menu 8; start 8 etc...) it doesn't affect system performance at all... exactly same boot up time and that too without any glitches of windows 8 start menu. While start8 lags during boot and direct booting to desktop...startisback does the job perfectly well!! 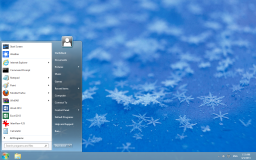 Start is Back :showoff: , just tried this after removing Start8 and this is a keeper, thanks anuraag . 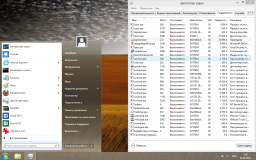 It uses the Win 7 explorer.exe and integrates in into Win8. That gives it authentic translucency and you don't get the 'Metro flash' at every boot-up unlike other Start Menu replacements/replicators. It doesn't add any extra processes to your start up either. It's not a Start Menu Emulator unlike Classic Shell or Start8. It is the lost Start Menu from Windows 7.
but believe me.....money is not always the problem! for example "sanction" between the countries doesn't let people of some countries have ANY international account, so even if a great software costs 1$ for life-time, they can't pay! How to add transparency to start menu and taskbar ? A small question. You guys say it uses the Windows 7 start menu from explorer.exe, but the Explorer and other things looks to remain the same (from the description and the screenshots). How come? Explorer Ribbon is still there, it's not explorer.exe related!